On the Beach Bed & Breakfast in Cayucos is best known for its beachfront views overlooking the pier and Cayucos State Beach. But among its guests, the inn is equally beloved for its breakfasts. 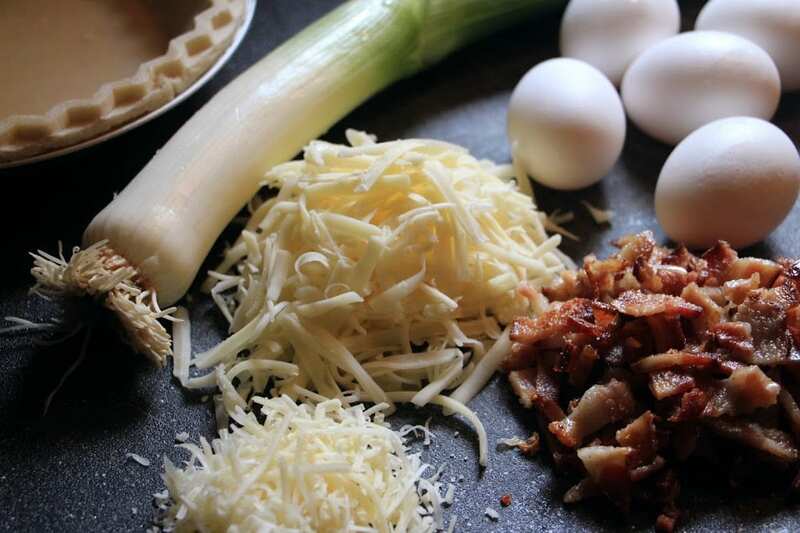 The inn’s bacon leek quiche is so popular that the innkeepers keep photocopies of the recipe ready to hand out. The recipe was created by one of the inn’s staff members and long-time Cayucos resident, Maureen Handshy. The quiche is a savory combination of bacon and leeks tangled up in in a nest of melting cheese and baked eggs. It’s not only delicious, but surprisingly easy to make. Preheat oven to 350°. 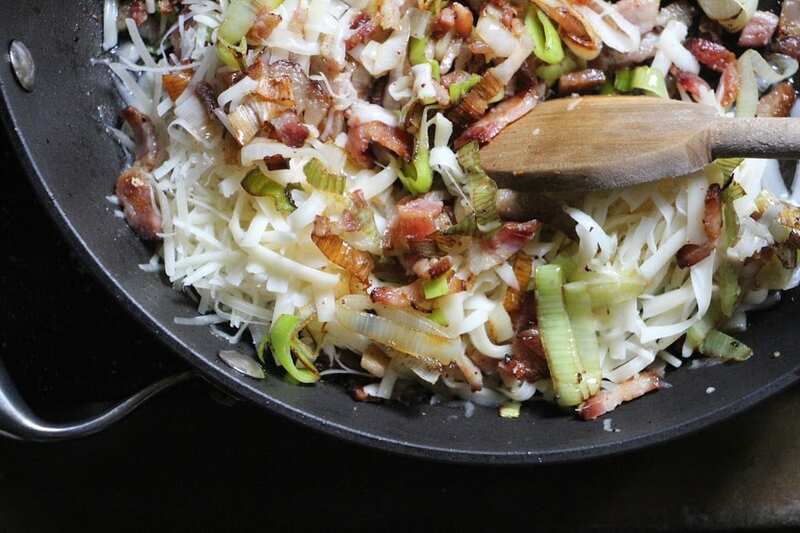 Begin by cooking the bacon in a skillet. Set the cooked bacon on paper towels to cool and drain at least half of the bacon grease from the skillet. Chop the bacon. Heat olive oil in the skillet and then add the sliced leeks. 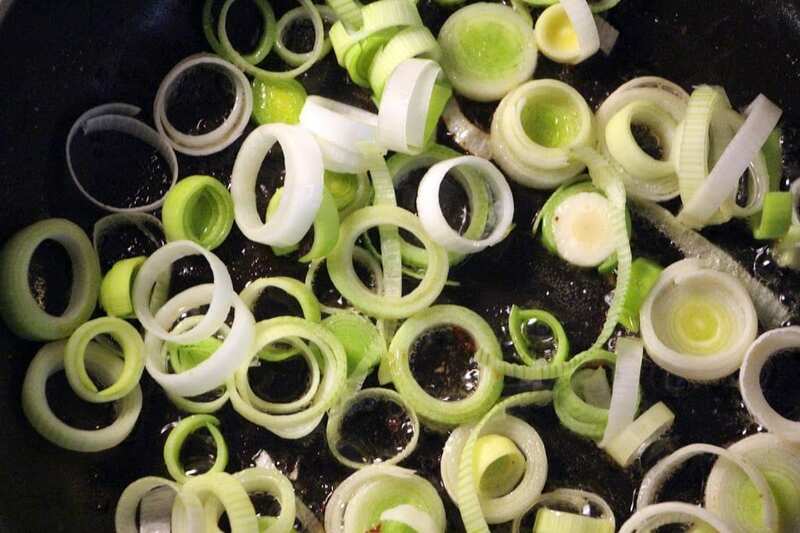 Sauté the leeks until softened and beginning to brown at the edges. 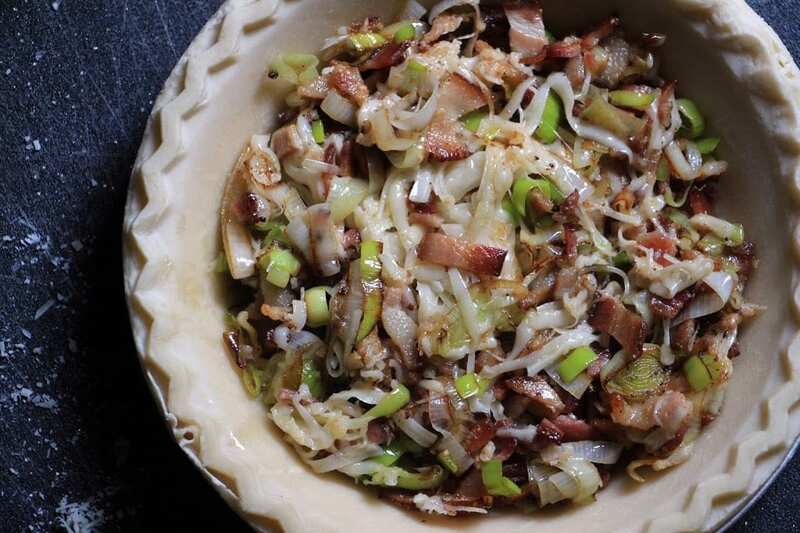 Add the chopped bacon back to the skillet, stir, and then remove from the heat. Mix in the grated Swiss and Parmesan cheeses. Fill the frozen pie shell with the mixed ingredients. 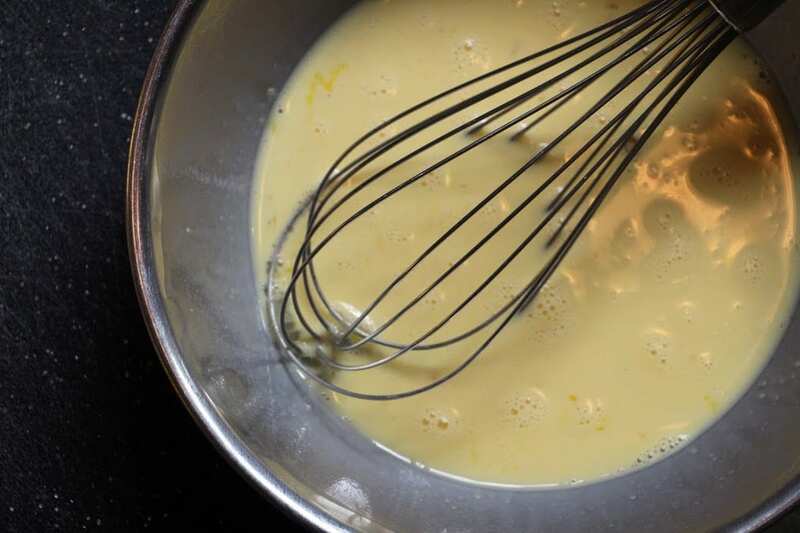 In a medium bowl, whisk the eggs and half and half thoroughly. Pour the egg mixture over the pie shell filling. Line a baking sheet with parchment paper. Place the pie shell on the baking sheet and bake at 350° for 30-40 minutes (or until the filling no longer wiggles). 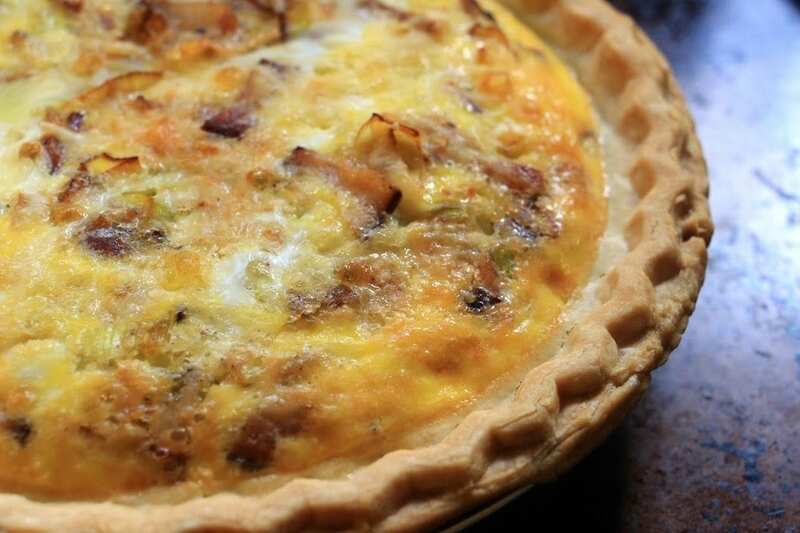 Allow the quiche to cool 10-15 minutes before slicing. Serve warm.